Zoom Teeth Whitening Bangkok, Thailand. Your smile is important. It's one of the first things you notice when you meet someone. A whiter, brighter smile is beautiful - it can help you feel better about yourself and make a memorable impression . The Zoom! Chairside Whitening System is a scientifically advanced, patent pending, tooth whitening procedure. It's safe, effective and fast, very fast. In less than an hour your teeth will become dramatically whiter. Zoom! Chairside Whitening is ideal for anyone looking for immediate results. The convenience of Zoom! in comparison todays of wearing trays or strips, makes it the perfect choice for the busy individual. Zoom! 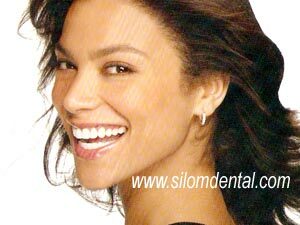 is a bleaching process that lightens discoloration of enamel and dentin. The Zoom! In-Office Whitening System will make your teeth dramatically whiter in less than an hour. Which proper care your smile will sparkle for years. 1. The procedure is simple. It begins with a short preparation to cover your lips and gums, leaving only your teeth exposed. 2.The Zoom! clinician then applies the proprietary Zoom! whitening gel, which was designed to be used specifically with the Zoom! light. The light and gel work together to gently penetrate your teeth, breaking up the stains and discoloration. 4. Finally, you go home with your brighter, whiter smile.